How Does Molybdenum Help the Body? As a trace mineral, molybdenum has numerous roles in biological processes that happen regularly, although its exact functions are not well understood. Molybdenum does everything from protecting cells and creating energy to helping vital organs get rid of waste products. It’s not common to be deficient in molybdenum -- you’ll get it from whole grains and nuts, as well as a little from animal foods and produce. However, you can go overboard on your molybdenum intake, which can be dangerous. Molybdenum activates enzymes that have antioxidant roles in your blood. Antioxidants function by reacting with free radicals, which adhere to healthy cells, leading to diminished cell function and destruction of the cell itself. High levels of free radicals can lead to chronic diseases, including various forms of cancer. With the help of antioxidants like molybdenum, free radicals become neutral compounds that aren’t damaging to healthy cells. Energy production in your body requires a slew of biochemical reactions, starting with deconstruction of nutrients after you eat. Molybdenum is required for allowing cells to produce energy within the mitochondria, or powerhouse of the cells, with the help of broken-down macronutrients. This energy doesn’t just help you go about your day, it’s also required for cellular processes such as digesting food, making your heart beat, allowing muscles to work and creating new healthy cells. Some of the molybdenum in your body activates enzymes that are required for waste removal. The mineral helps metabolize toxins and leftover byproducts of digestion. These waste particles then get filtered out with the help of your kidneys, ultimately leaving your body when you urinate. Molybdenum even metabolizes drugs in your system, helping your body use what it needs and then pushing out anything extra into your urine. You need just 45 micrograms of molybdenum daily to meet the recommended dietary allowance set by the Food and Nutrition Board of the Institute of Medicine. You only require more -- 50 micrograms -- if you’re pregnant or breast-feeding. Molybdenum can be toxic in doses over 2,000 micrograms a day. Unless you take a molybdenum supplement, you’re not likely to get too much just from your diet. 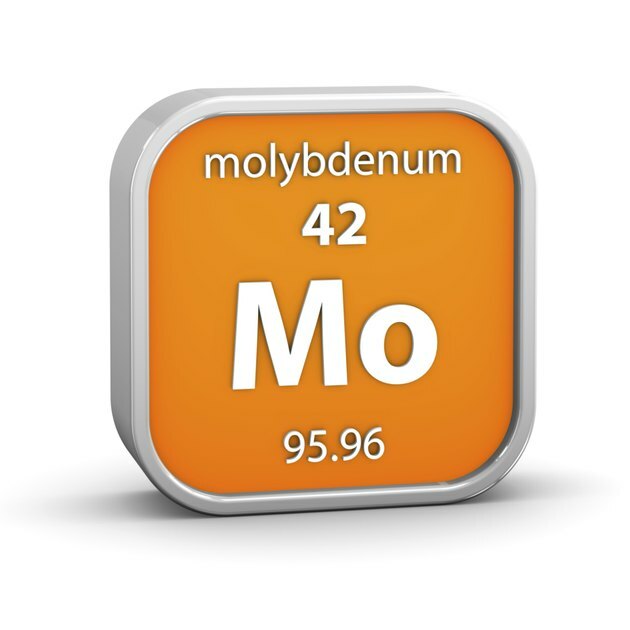 Toxic levels of molybdenum can cause goutlike symptoms, organ damage, neurological dysfunctions, deficiencies of other minerals or even seizures. Can You Take Magnesium Citrate After Eating?